Everyone’s thirsty about it. Every techie consumer wants a good list. But where can they really find a good holiday list of the best geeky smartphones for this year? As far as I am concerned, I really wonder until now what is the exact counterpart of smartphones as being the most sought-after for this year. Never mind about its counterpart, but I’d love to show you a short list of my top-rated Android smartphones of 2012, handpicked for your convenience. Next to Motorola’s slightly junior twin, the Droid Razr HD, the Maxx HD is packed with great specs, good build quality, clear display, and especially, a rock-climbing battery that promises 13 hours of media playback. 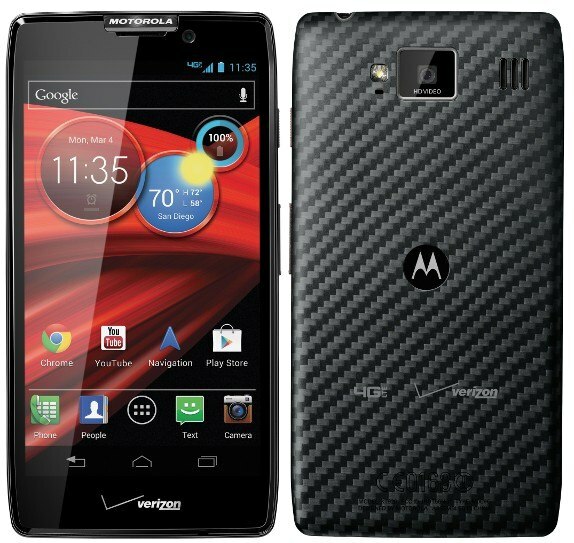 Priced too low at $179 nowadays, the Maxx HD of Motorola promises better data features with Verizon’s 4G LTE. While being exclusive for the data contract, some features and details are worth enumerating. Included in the list is the Super AMOLED display at 720p, an 8MP camera, a dual-core processor (some models offered with a quad-core one), 1GB of RAM, 26GB usable storage (expandable), and an Ice Cream Sandwich of Android that is promised of an upgrade to Jelly Bean. The 3300mAh battery is embedded, though I think no one would ask for a removable one. Oh, I must have forgotten, but the Kevlar-reinforced fiber back cover in this device is something worth the note. Aside from being exclusive, the Motorola Droid Razr Maxx HD falls short also with style and comfort when piled with other smartphones, and the camera does not dance well under tricky light. Thanks to its price, users will still love to put this on the holiday list. I placed this nice-looking phone on the fourth rank because of only one thing: it is so exclusive. 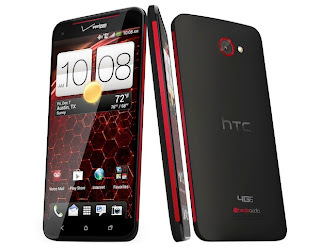 But to introduce, this new HTC Droid DNA (or to be termed as HTC Deluxe in other parts of the world), which was released on the third week of November, is to be sold at a very cheap price at Verizon for only $199. A strong competitor to the Samsung Galaxy S3, the Droid DNA of HTC is packed with a 5-inch full HD 1080p display, and so far, the biggest ppi (pixel per inch) I’ve ever seen at 441. Aside from sharing Verizon’s 4G LTE network, the Droid DNA is promised to be equipped with the latest technology like a quad-core processor at 1.5GHz, 2GB of RAM, Adreno 320 for the GPU, and Android’s new Jelly Bean 4.1 aside from the 2MP front-facing camera and 8MP rear camera with flash. Inside we have 16GB of storage, but unluckily, we only have this memory to cling on since there’s no expandable card slot. Moreover, HTC fell short with the device’s battery because it has only a non-removable one locked at 2020mAh. This means users will have to charge the device over and over again like at least once a day to continue enjoying such pulpy juice from the smartphone. While the Droid DNA is posted already on global markets, non-Verizon users will only enjoy HSDPA+ connectivity, if not 3G, for the data. Lastly, to make the users truly happy, the Beats audio enhancement technology should give them a smiling face while listening to music. 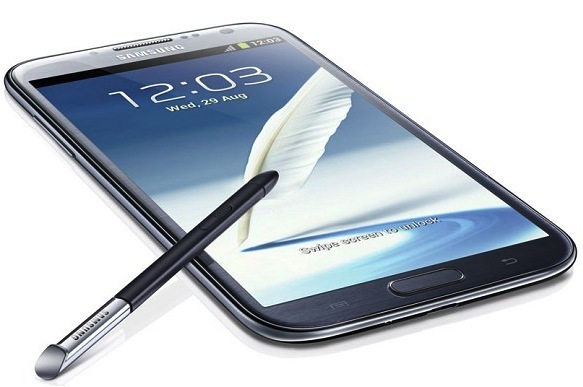 Almost the same as the Galaxy Note 2, the Samsung Galaxy S3 is but a 4-incher smartphone that does not incorporate note-taking features with a stylus, but is packed with a 16-million Super AMOLED touch display at 720p and is capable of broadcasting itself via LTE connectivity. Adding to these, the Samsung Galaxy S3 is not short with top specs modern smartphones should gear, making this somewhat a ‘role model’ for other OEMs to base their products on if they really want to join the competition. The S3 is powered with an upgradeable OS from its standard Ice Cream Sandwich up to Jelly Bean, has an Exynos processor at four cores, has 1GB of RAM, and sports a relatively uncommon Cortex-A9 graphics unit. All these up and running, watching HD movies is at par without compromise to people’s excitement of playing games. Lastly, the Samsung Galaxy S3 comes with an enhanced AI (artificial intelligence) feature set to facilitate the way of life of almost every individual on the planet. Included in the list are: Smart Stay (device stays awake if it detects you), S-Voice (interactive voice command-response system), and the S-Beam (users share files wirelessly with each other, as long as both phones are compatible). For some recorded downs in this phone, the S3 still has to improve its TouchWiz software, and its price is something I’d love to call ‘super premium’ even if it comes in a two-year contract basis on almost all major cellular networks. Looks more like a phablet at hand, the Galaxy Note 2 is but one of Samsung’s best products this year. Aside from the same brilliant body shared with its kin, the S3, the Note 2 has its proprietary pen known as the ‘S-Pen.’ This said, this smartphone still works as a small tablet especially for taking down notes even without the cellular function. The Note 2’s size at 5.95x3.17x0.37 inches is not something you’d love to carry with one hand, and unluckily, if you have a small face, you don’t want this raised parallel to your face when making a call. Nevertheless, empowering the Note 2’s unique form factor is its Super AMOLED display at 16-million colors. Surprisingly, for a display size at 5.5”, I find Samsung quite disappointing because this Note 2 falls shorter on pixel density a 267ppi when compared to that of the said kin. Anyhow, the 720p display still is something worth bringing along. Aside from having LTE connectivity feature and Jelly Bean as the platform, the Note 2 still receives applause with its Exynos quad-core processor and 2GB of RAM. Moreover, this new phablet features extended creation skills set with its S-Pen. Taking advantage of this hardware addition, the Note 2 has some features like the Popup Note, Easy Clip feature, Idea Sketch, and other additions to some apps like making handwritten notes to calendars and even to the back surface of the images. The stylus may not be perfectly responsive at this time, but its price at $250-$300 is good enough for all-day usage with its 3100mAh battery. Within the same Nexus series comes handier devices of different sizes, one of which is the 4-incher smartphone. The Nexus 4 is in some ways one of the perfections Google has for itself for this decade, and is remarkably something one would love because it has no strings for any contracts, and is sold for a very low price of just about $300. Not really a fashionable item, the Nexus 4 however is never short of the best specs available. 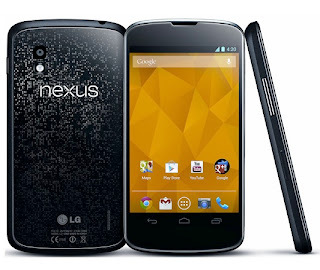 Aside from the 4.7-inch 1280x768p display with Gorilla Glass 2 and IPS technology, the Nexus 4 is also packed with the very new Jelly Bean as its base platform, has 2GB of RAM, has a Qualcomm Snapdragon S4 CPU at four cores, but a storage of just up to 16GB. Being low on storage, the Nexus 4 rather focuses on being on the cloud with the latest Google apps and technologies. Lastly, the Nexus 4 has a gorgeous 8MP camera that takes advantage of Jelly Bean’s Photo Sphere, a feature where users can capture a full 360-degree view of an area. Inside the Nexus 4 there’s not really much special feature, but the simplicity says it all. We’d hope, however, for a better battery life (only 2100mAh) and the integration of 4G LTE to truly make this smartphone stand out. But to pack things up, the Nexus 4 has but all the modern technologies one Android smartphone should have and cater, and has all the basic features one would need nowadays while users enjoy the freedom of this low-priced unlocked phone. The LG Optimus G is essentially LG's incarnation of what they learned in making the Nexus 4 (ie. SnapDragon S4 Pro based) but with LTE and 32GB of storage. 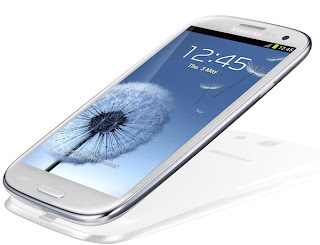 The downside is that it's not an official Google phone so its Android releases lag behind.